An entire week dedicated to folk music? 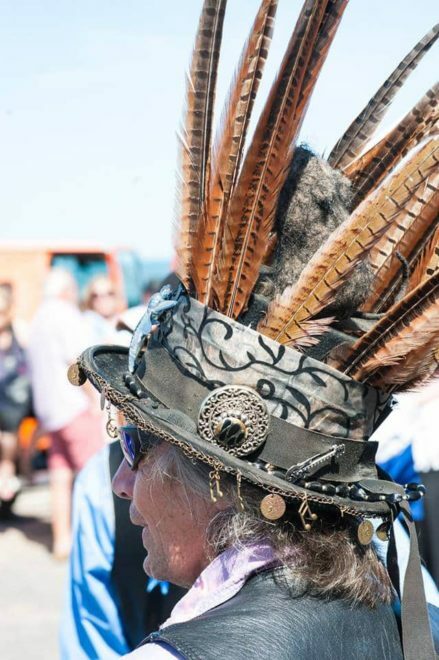 It catches me off-guard when people from other parts of the country don’t have any experience of folk week-type events; it’s entirely normal to us Thanet people, as well as those who live in places like Cambridge, Dartmouth, Oxfordshire, Whitby, Cornwall, Swanage, and many others. Broadstairs Folk Week has been a normal part of my life since I was born. There’s a great atmosphere in the town and it’s wonderful to know that people travel from all over the country to come down to this small part of the south east coastline to enjoy music, meet up with friends, and – very importantly – spend their money. I’m still a bit of a capitalist at heart. 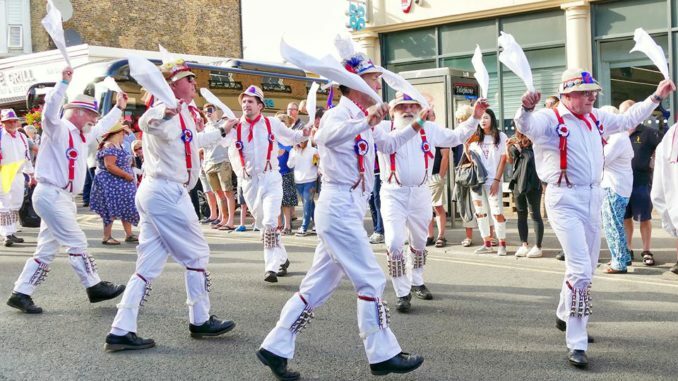 As well as the Pierremont Park marquee, pubs, bandstand, stalls, cafes, and everything else that Broadstairs accommodates, there is also the thorny issue of Morris dancers – who feature heavily in the week. I have something of a complex relationship with them. But I have to say that they’re never been anything other than polite, courteous, and funny whenever I’ve bumped into them. They don’t seem to be able to detect my terror or, if they do, are far too refined to say anything about it. 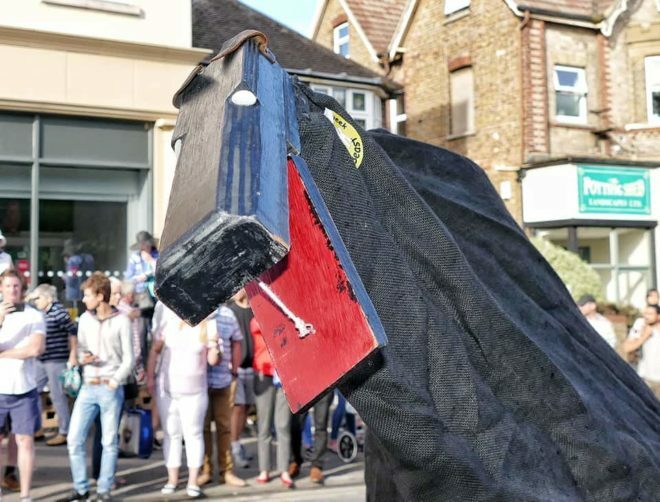 I developed an odd nervous twitch about Morris dancers when I worked for three years at Broadstairs Library, and the dancers would often stop outside the building to practice before walking down to the main action. For some reason, the noise disturbed my brain, which is easily disturbed, and that’s carried on an association to this day – well over 15 years later. I must apologise to all Morris dancers everywhere – I cast no aspersions on your characters at all and applaud your good and kind nature. I just have a terror of the clack of wood on wood – or metal on metal as I saw yesterday when I took a stroll down there. I used to live on the direct “flight path” between the main camp site and the town itself, and before that, I lived in a flat right in the heart of town, so I had an unadulterated view of folk week shenanigans for years. There are always a small number of people who become silly, but they’re in a minority. I rather like the boost to tourism that the week provides; yes, it can be tiring trying to get through the crowds when shopping for a pint of milk, but I’ve learnt to be well-organised. I remind myself the visitors are coming back year after year to spend time in a town they clearly enjoy – and how can I argue with that, when I love the town so much as well. What do I love most about folk week? The yellow t-shirt crew. The week couldn’t function without volunteers, and every year I tell myself that I’m going to volunteer and help out … and every year, I fail to do so. They’re the backbone of the event, and I’ve got nothing but admiration for them. Folk Week die-hards. Locals get a great opportunity to enjoy the music, and so do people travelling from everywhere else in England and beyond – I’ve known of people travelling from Germany to take part in the week. Come one, come all. Colourful characters. Broadstairs is host to characters all year round (I secretly hope that I’m one of them, to be fair), but the numbers increase somewhat for these few days. “Any excuse” revellers. There are some celebrants who might not even like folk music but will happily take part in Folk Week because it’s a chance to see their friends, enjoy longer pub hours, and just to savour the energy of the week. Clarence and the Hooden Horses. Stabled for the rest of the year, these rather strange beings are released for the festival, and children are often rather scared by them – mind you, a lot of adults are as well. Still, they’ve become an integral part of the festival now, but they have to be seen to be believed, to be honest. I’ll be spending time around and about in Folk Week with my friends and family, so I hope to see you there!